Nine months after launching their debut album, United Colours of Bigotry, Deadwood Dog are on something of a high. The Preston seven-piece visit 53 Degrees this Saturday, July 12, returning to a treasured University of Central Lancashire venue facing closure at the end of the year. And they’re determined to make the most of their latest ‘second home’ while they can, stressing that it’s not all doom and gloom for Lancashire’s newest city. Deadwood Dog are gearing up for a celebratory event, showcasing the best of a home-spun music scene, with support from fellow Preston acts Matt Gallagher and David Shurr. There was a prestigious support for Mick’s band at the same venue with From the Jam last summer, and they held their album launch there in October. I put it to 49-year-old Mick (vocals, lyrics and electric guitar) that 53 Degrees had become something of a local for them in recent times. “It has, but not for long, because they’re demolishing it. They’re knocking down this town, bit by bit. “While 53 Degrees isn’t even an old bit, we seem to want to destroy anything that resembles Preston’s history – from the Bus Station to The Warehouse. “But you have to draw the line somewhere, and a place like The Warehouse has too much history. They’ll regret it. “Joy Division played there, and so much happened there – so many great gigs. Southern Dealt Cult played there, as well as at the Preston Poly. The Warehouse, I should explain to out-of-towners, has been putting on alternative music nights in Preston since the early ’70s. 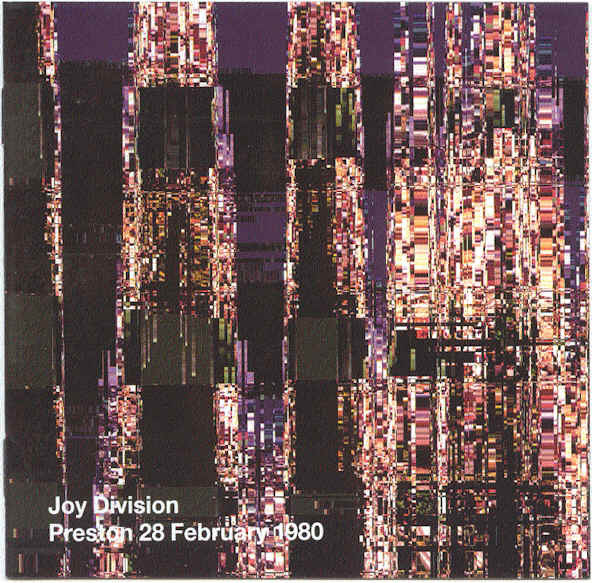 It was seen as a focal point of the North West’s late ’70s punk scene, and Joy Division recorded 1980 live album Preston Warehouse there just a year before Ian Curtis’ death. It also played host to The Stone Roses in 1986, while China Crisis were previous regulars, and Black Flag’s Henry Rollins recounts a tale of being beaten up in the mosh pit there. Furthermore, Deadwood Dog have their own The Men They Couldn’t Hang style anthem about one infamous night in the venue’s history, Warehouse Riot. All very Wild North West. Yet while we’ll mourn The Warehouse and 53 Degrees if they go, there are alternatives which might do well in their absence. “Exactly. Blitz for one might benefit. It’s all set up there, with an in-house PA, and it’s not being used enough. The Continental’s doing well too. 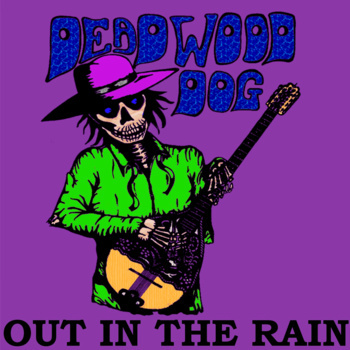 Getting back to the band themselves, Deadwood Dog’s official biog talks of a band whose ‘foot-stomping music tells stories of real-life, marrying up-tempo barnstormers, bittersweet ballads, and the odd well-chosen cover’. We’re also asked to ‘imagine a supergroup made up of the Levellers, IRS-years REM and the ghost of Joe Strummer, all jamming in a Baltic bar’. The fact that Mick’s part-Polish co-writer Daevid Goral Barker plays Greek bouzouki, and Sarah Pickin adds violin, contributes to that general picture. There’s plenty of evidence of all that on United Colours of Bigotry, from the super-catchy stand-out single Out in the Rain – with its East European feel – onwards. And while that initial talk of the weather seems to suit the band’s background, Daev’s bouzouki transports you way down south for a little welcome sunshine. Despite Mick’s deep Lancashire tones, there’s more than a hint of his US heroes Steve Earle and early REM on the album too. And those transatlantic touches bring to mind bands that followed in REM’s wake like Hootie & the Blowfish, and perhaps Canada’s Crash Test Dummies too. The band’s breezy feelgood factor is definitely there on tracks like This World and You Brighten Up My Day, more songs of high summer. They even tackle Kraftwerk’s The Model, and while nostalgia dictates I still prefer The Members’ glorious dub version, it’s a worthy cover that can’t fail to bring a smile to the face. All in all, it’s a promising debut, and seems to have had a positive response. 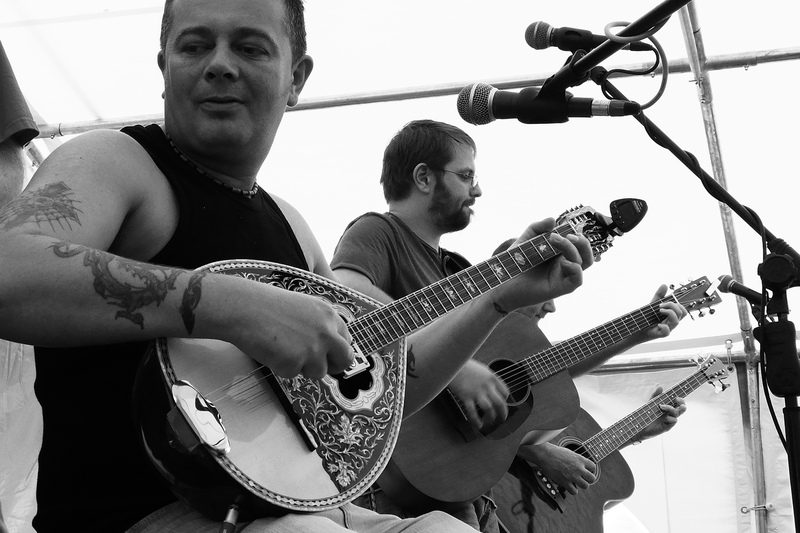 So how is life with ‘Preston’s original bouzouki-wielding folk-rockers’ right now? “Things are definitely on the up. 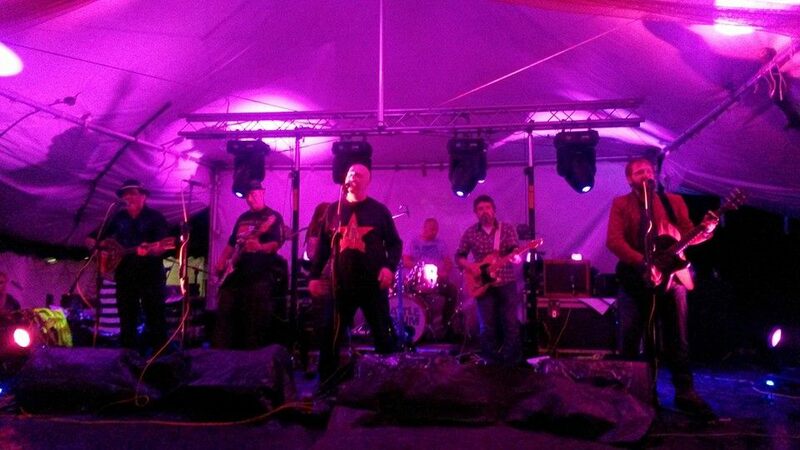 We headlined Bearded Theory’s Woodland Stage on midnight on the Saturday. “We were on after The Stranglers, but they were on the main stage, so we had to nip off and sound-check and set up after a while. Dan and Deadwood Dog go back a while, the acclaimed Belfast singer-songwriter their support when they officially launched their album, only recently joining the latest incarnation of Miles Hunt’s former chart-toppers. And this time I gather the Derbyshire festival’s organisers came to Mick’s band rather than the other way around. “We’ve approached a few in the past, and last year got nothing back, but this year had this and Spannerfest at Burscough come back to us. The fact that they have their first CD out might help too. “Yes, but that’s not why we did it. I just want people to listen to that. It’s no massive concern where it leads to. It’s just part of the cycle of being in a band. “You write songs, you work them doing gigs, and you go and record them. Hopefully people will then like it. But if they don’t … tough. And there’s been a good reaction to United Colours of Bigotry? “Generally, yeah. Not enough people have heard it, that’s the only thing. We’re not getting radio airplay. “We sent it to the BBC, but they’re obviously not interested at Radio Lancashire, which begs the question ‘what are they listening to?’ We’re a local band doing well. 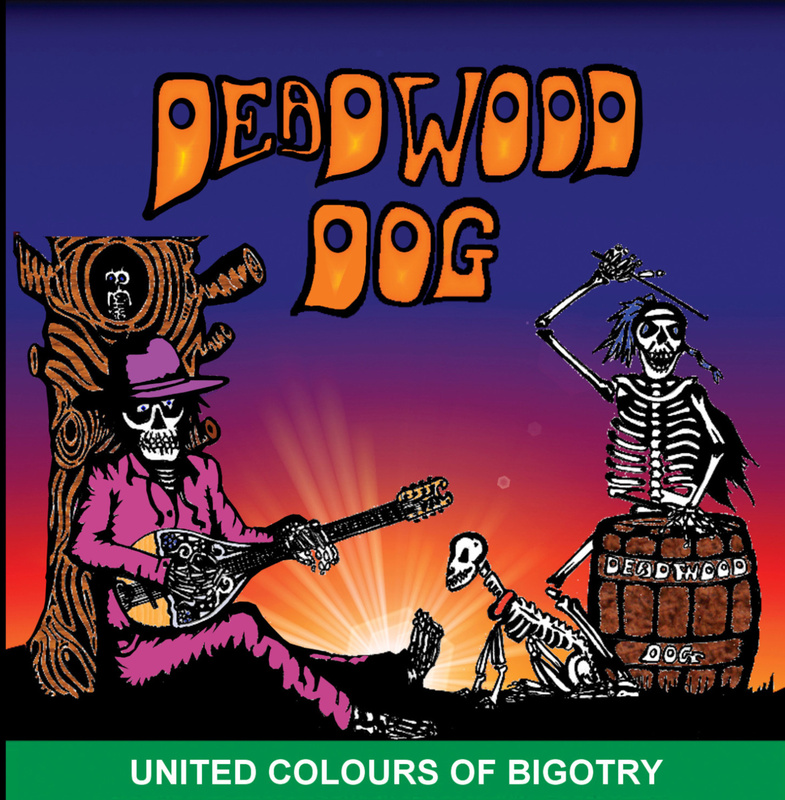 The fact that Deadwood Dog called their album United Colours of Bigotry tells us a lot about their stance and attitude to modern life. That’s covered well on Little Town of Bigotry, tackling the ignorance of the area’s generational hand-me-down religious and racial divisions. “It’s a play on the United Colours of Benetton advertising campaign too. I’m surrounded by bigotry, and seem to have been all my life around Lancashire. “It’s frightening in this day of information technology that people are so ignorant really, just taking headlines for granted and not looking deeper into things. “Look at Facebook, for instance. So many things land on your page and you wonder how they get there, like all those ’English’ things. “I’m proud enough to be English, but I’m an Englishman into integration and diversity. “I’m disheartened about the performances of our national football team like everybody else, but I’m no bigot. I put it to Mick that Lancashire today – despite a few idiots – is a positive melting pot of cultures, and his band’s music helps lead the way, displaying many world influences. “Our music’s from everywhere. Even the reggae thing. How many white bands have taken on reggae, from 10cc and The Police onwards? The album took some time to get together, but the band were more than happy with the result. “We recorded the whole album with a mobile studio set-up, but weren’t satisfied with the result, and felt we had to start again. “I suggested we went to John Kettle, of The Tansads fame, at Jaraf House, Wigan. “John knows the scene and knows what we were looking for, rather than those who use a specific format for everyone they record. “When I spoke to him, his enthusiasm for it sold it to me straight away. We were so pleased with the result, and it’s the best thing we’ve ever done. Divided Kingdom is Mick’s story of a Saturday morning in his hometown where he came upon an English Defence League demo, with plenty of opposition there too. 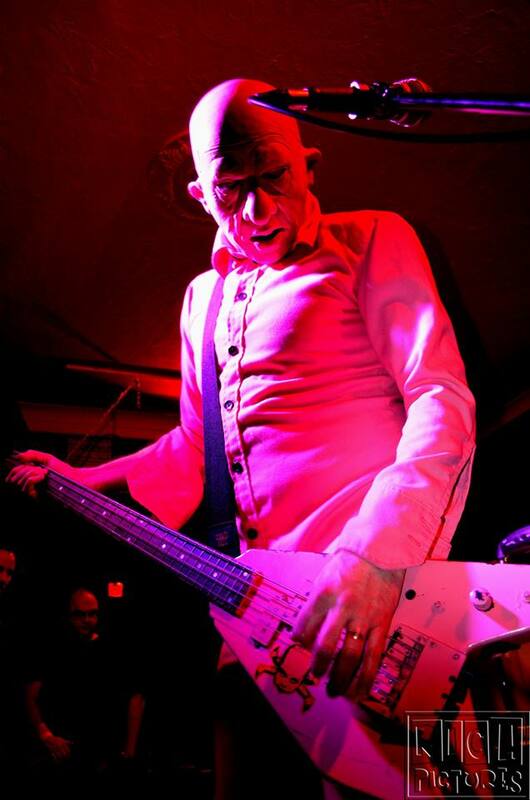 With Preston a relatively small city, there are plenty of crossovers with its bands, and Mick mentions links with a couple of recent writewyattuk interviewees Evil Blizzard’s personnel, and his own past in the bands Dreamland and Pike. The Evil Blizzard link came to the fore last year, when that band and Deadwood Dog held their respective album launches across the road from each other at 53 Degrees and The Ferret. “It were mad! There were around 300 people at 53 Degrees, and over the road it was packed out. 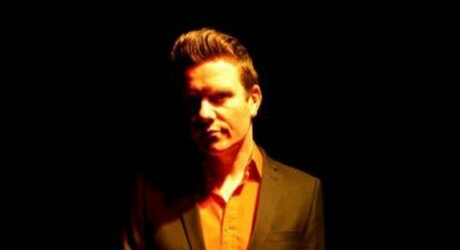 When I spoke to Mick last October, he told me Deadwood Dog, formed in 2010, were a ‘five-piece soon to be a six-piece’. Nine months on it appears that they’ve given birth to another band member. And are they all from Preston? “Sarah, our violinist, is from Derby but lives here now, while our guitarist and banjo player, John, is from Blackburn way. And is there room on stage for all seven of your at some of these venues? 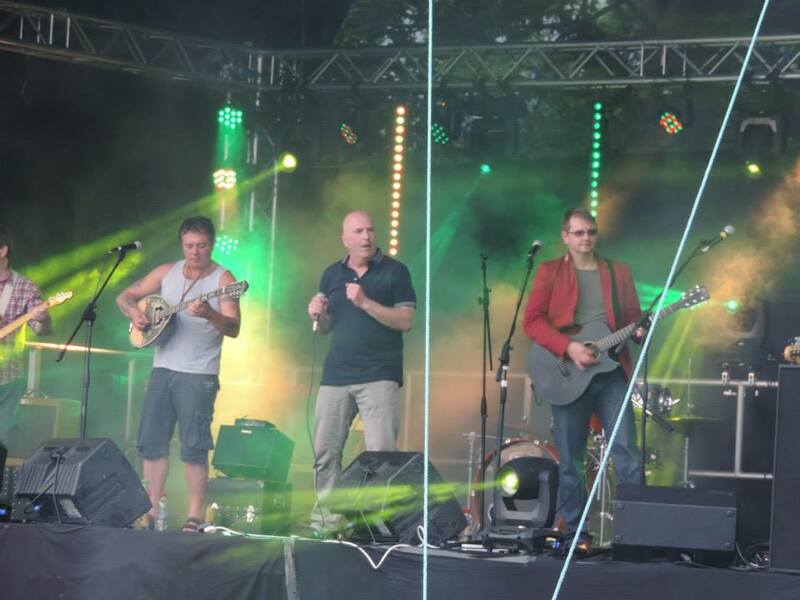 They have two big dates next month, on August 9 for the Plough at Oswaldtwistle’s three-day Acoustic Weekender, then the following day at Spannerfest in Burscough. But first, what can we expect at 53 Degrees this weekend? As there’s a World Cup link, will there be a South American flavour from a band with such cross-cultural influences? This is a revised and expanded version of a Malcolm Wyatt feature for the Lancashire Evening Post, published on Thursday, July 10, with the online version here. 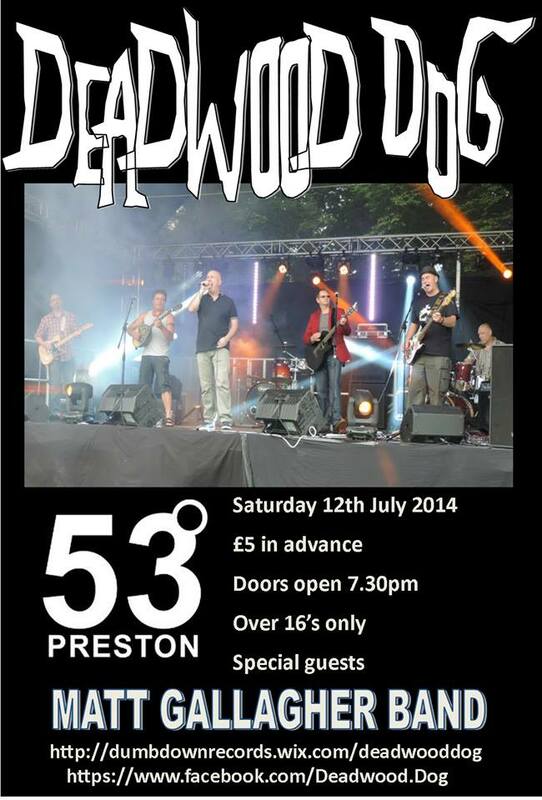 For ticket details for the 53 Degrees show, head here, and for all the latest from Deadwood Dog, try their Facebook page here. This entry was posted in Music and tagged 53 Degrees, bouzouki, Daevid Goral Barker, Dan Donnelly, Deadwood Dog, Evil Blizzard, Joy Division, Mick Stokes, Preston, The Warehouse, Wonder Stuff. Bookmark the permalink.